An abnormal mass in Hermella’s abdomen was diagnosed as stage IV adrenocortical carcinoma, an extremely rare form of cancer. The parents were told that there was basically no hope, and that they should give up. The parents did not give up and pursued treatments in Calgary and Toronto. But when Hermella returned to Alberta Children’s Hospital in August, her depressed neurological functions weren’t recovering. This was attributed to a severe infection in her brain stem and spinal cord. Despite being told over 15 times to remove their daughter from life support, the parents kept up the fight. The parents were eventually given an ultimatum: if they didn’t agree with the results of the consultation, the hospital would take it to court. 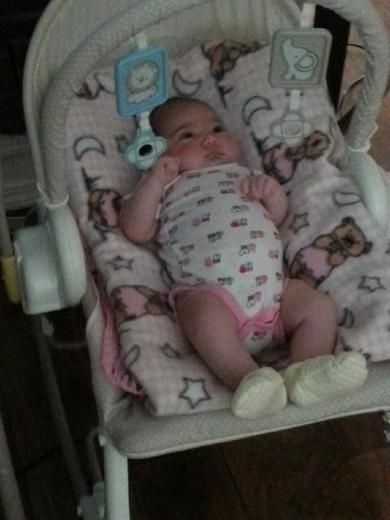 On Wednesday, the parents were informed that Hermella would be removed from life support on Thursday. An injunction has granted the family a reprieve. This is at least the fourth futility case to reach the Alberta courts.